Farcry 3 the Open world adventure game released on Decemeber 4 2012 is said to be the game of the year as it has tight competition from Assassins Creed 3.Many Sites like IGN,METACRITIC. etc has rated the game with 9/10. Fair part of the game is that it has lan. Farcry 3 comes with a strong story line .Farcry 3 has best story among the series.The game has about 10 side missions other than the main missions.Story plot for farcry 3 is strong enough to become game of the year.This game mainly concentrates on single player rather than multiplayer. Earlier version of farcry (farcry2) was a utter flop with many disgusting stuffs like malaria etc.Ubisoft succeded more in farcry 3 with more good story line . It's a smartly designed open-world game with a ton of stuff to do, and the random acts of hilarity that occur out in the jungle will constantly leave you with unique stories you'll be desperate to tell your friends. If the story had made good on the strength of its initial premise, Far Cry 3 would have been shoo-in for best game of the year.Farcry 3 has an epic story. Multiplayer mode in the game is so competitive than later versions of the game.Player can unlocks skills by earning points and playing more.Player can buy Farcry 3 from u play for 49$.Map editior feature is one of the most intresting part of the game. Farcry3 maps are editable and these maps can be used to player multiplayer games. Farcry 3 do not supports dedicated servers.Many modern weapons are available in this edition of the game .Multiplayer lan is available in tunngle. Players can play multiplayer game in tunngle too.The game has annoying multiplayer mode. 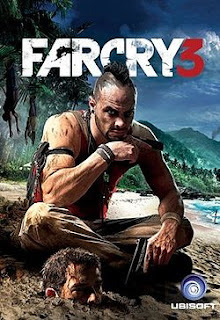 The game features stunning graphics and amazing environment.User reviews say Farcry 3 runs on average systems.It takes approximately 30 hrs to complete the game .The amount of details is so high and texture quality of the game is so good .